It’s not always headline news that our climate is changing – but it should be. 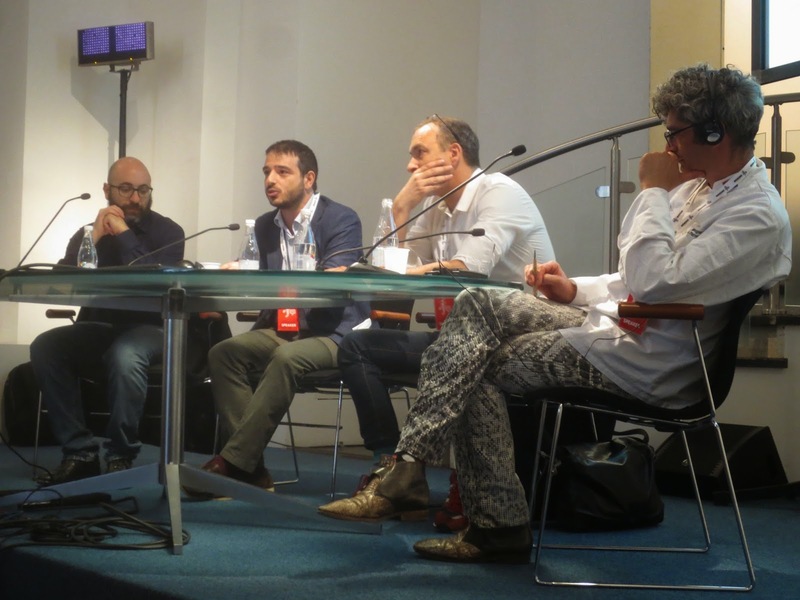 Cattaneo was a member of Recipes for Change: Untold stories of food and climate adaptation, the IFAD-organized panel at the 2015 International Journalism Festival in Perugia, Italy. He joined Jacopo Monzini, senior technical specialist in IFAD’s Environment and Climate Division, and Lars Charas, programme manager at Worldchefs, in a discussion moderated by Mauro Buonocore, Communication Officer at the Euro Mediterranean Centre on Climate Change. The panel’s goal was to share stories that the media are not telling when it comes to climate change. Its members spoke as international aid workers, journalists, scientists and chefs – but they all wanted to change the way we think about (and thus respond to) climate change. Instead of viewing climate change as something apart from us, we need to view it as something that affects us and that we, in turn, can influence by our choices, Monzini added. Since we’re all responsible for climate change, Monzini said, “we’re all responsible for mitigating the effects.” One way for journalists to contribute is to help the public realize the true causes of climate change and the best ways to change them. Climate change is well documented, but it’s easy to ignore when it only seems to affect people on the other side of the world. As a result, there is great potential for stories that show communities in the developed world how climate change affects them. “You have to find issues that are close to consumers, make the issue practical,” said Charas. For example, he warned that climate change may put traditional Mexican food culture at risk, as neither beans nor corn is climate-resilient. Monzini added that climate change might seem much more relevant for Italians this year, after low rainfall contributed to an uncharacteristically small olive harvest. Too often, Cattaneo said, it’s difficult to find space to address climate change. But the public is concerned with what is local – which journalists should use to their advantage. The panel agreed on one force that could discourage the behaviors contributing to climate change: the market, which stories can play a pivotal role in shaping. Consumers make up the market, and informed consumers can make a difference. The problem, Monzini said, is that food consumers are often lazy. They limit their range of ingredients, which encourages monoculture and consequently hurts genetic diversity and resilience in the agriculture sector. Even if farmers grow traditional, organic crops, he pointed out, they are going to stop if no one buys them. Stories have the potential to change this behavior. By describing underutilized crops from around the globe, journalists can help create new markets for the food we need to nourish our growing world. Charas said he seeks to connect chefs with diverse ingredients. One potential market? Jellyfish. Overfishing has led to a proliferation of jellyfish, whose populations were once kept in check by the fish now on our plates, Charas explained. People already eat jellyfish in Korea, he noted. Adapting to new ideas and getting chefs to incorporate them could help us establish more sustainable sources of food. But even if jellyfish does not take off, the panel’s point remains valid: to feed a growing world population, we’re going to have to rethink how we produce and consume food. We all play a role in ameliorating and adapting to climate change, but journalists are especially important. Our climate is changing, and journalists can make that news.